It's was last week of 2010 , I was kinda stuck at MidValley when rain start to pour rain and dogs down on me. 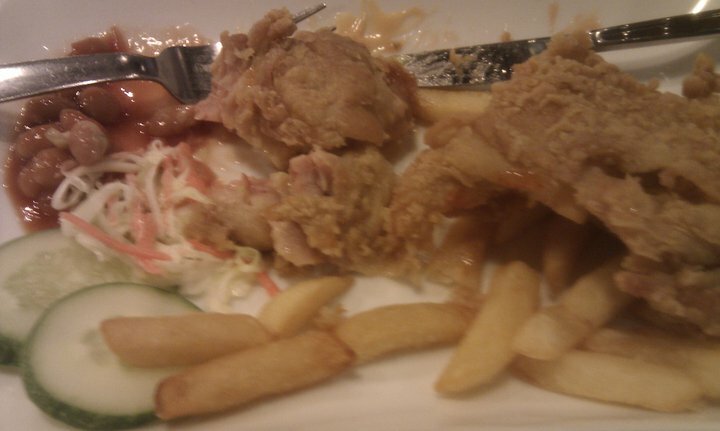 Nowhere to go, I suddenly recall the printed voucher of GroupsMore containing Crispy Chicken Chicken Combo+ Drink of Day from Reminisce Cafe inside my working bag. Slowly I make my way to Reminisce Cafe located at Lot G(E)-019, Ground External Floor, Mid Valley Megamall.. 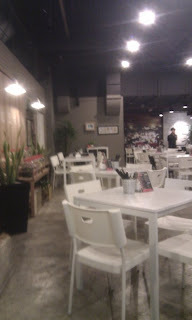 The cozy and laid back setting kinda remind of the good old day when I still at high school area . Probably the old melody of slow Canto songs and various candy stuffed ( Spotted Tora box too) at plastic boxes help me to settle in quickly as I present my voucher to waiter While waiting for my dinner to arrive, I managed get my hand on Reminisce Cafe menu. 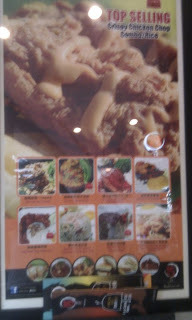 At glance, it consist of Chinese hawker style food mix with western food. Pasar Malam Yam Cake, Fried Carrot Cake, Chee Cheong Fun, Glutinous rice, Congee and etc. 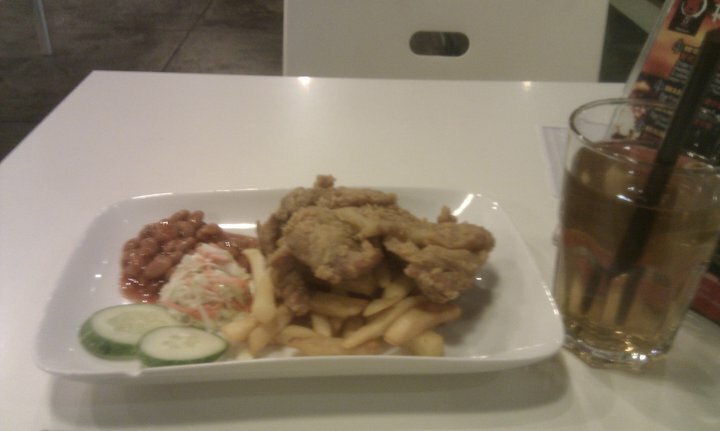 After awhile , my dinner arrived and 1st glance, the Chicken Chop Combo look hots and tasty enough to open my taste bud. The smooth crunchy sound of well fried chicken start to fill surrounding air as I took turn to taste the side-dish (coleslaw, french fries and red beans). Verdict : Awesome . The waiter are quite helpful and prompt indeed as I hail them for chili sauce and at same time ordering a extra Chinese dessert, Red Bean Soup. 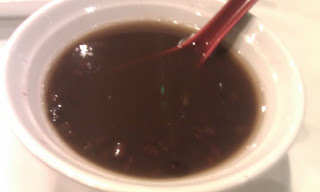 Well, it taste less sweat from typical red beans soup u found at typical Chinese Dessert Shop yet nevertheless it proved more than enough to fill my tummy. 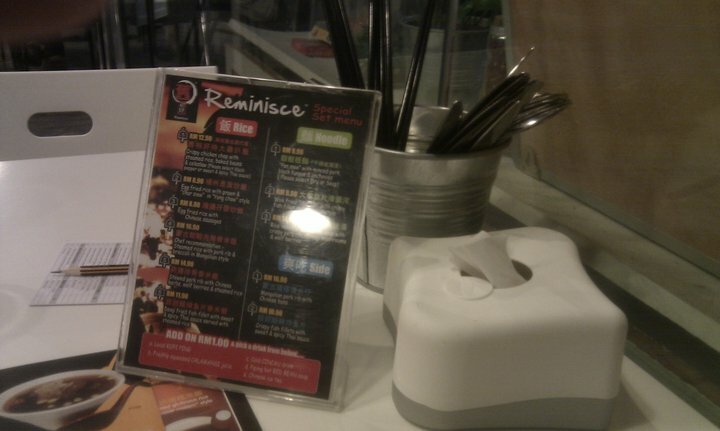 Although I only spend only short while there, I would recommend Reminisce Cafe for typical Chinese hawker foodie outing . Going to be one of my personal must visit F & B outlet at Midvalley from now on! Info: Lot G(E)-019, Ground External Floor, Mid Valley Megamall, Mid Valley City, Lingkaran Syed Putra, 69200 Kuala Lumpur, Open Monday – Saturday: 7.30am – 11.00pm, Sunday: 9.00am – 10.00pm.